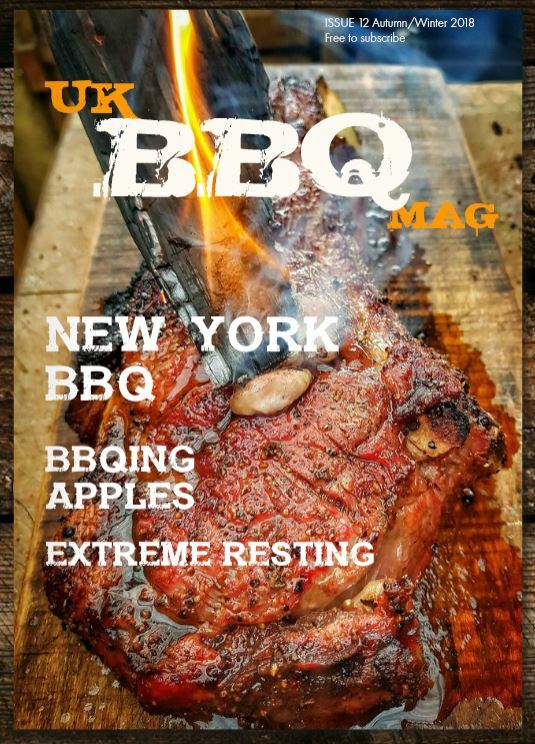 Lighting your BBQ charcoal or wood fired stove isn’t sometimes as straightforward as you might think, many people opt for the lighter fluid approach, but the fumes can often taint the food if not burnt off fully, the same with lighter blocks. There are some great products such as looftlighters, but you may not have access to electrickery. 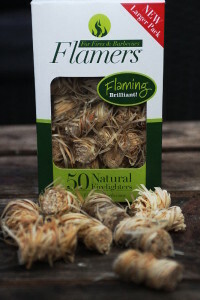 If you’re looking for a reliable way to light a fire, then you should have a look at Flamers Firelighters, they are natural, renewable, untreated wood shavings impregnated with wax they are odourless and clean burning. Simply tuck one in the middle of your charcoal or kindling, and light with a match. 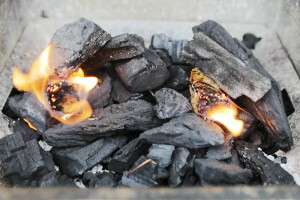 Soon your charcoal will be roaring away. A great simple product, but always good to have a few tucked into your BBQ kit. Good value £24 for 200. Check out the Flamers Website for distributors. I was sent the Flamers to review and try, and as with all my reviews I was free to review.